When I read Phyllis Theroux’s wonderful memoir The Journal Keeper I became such a fan I got in touch with her. We discovered we had some mutual friends and began writing back and forth. When I got the idea for this blog I asked her for an easy recipe and she sent me “The Best Soup in the World.” All I can say is that I made it three times in one week. The ingredients are strange, but trust me, it’s delicious. 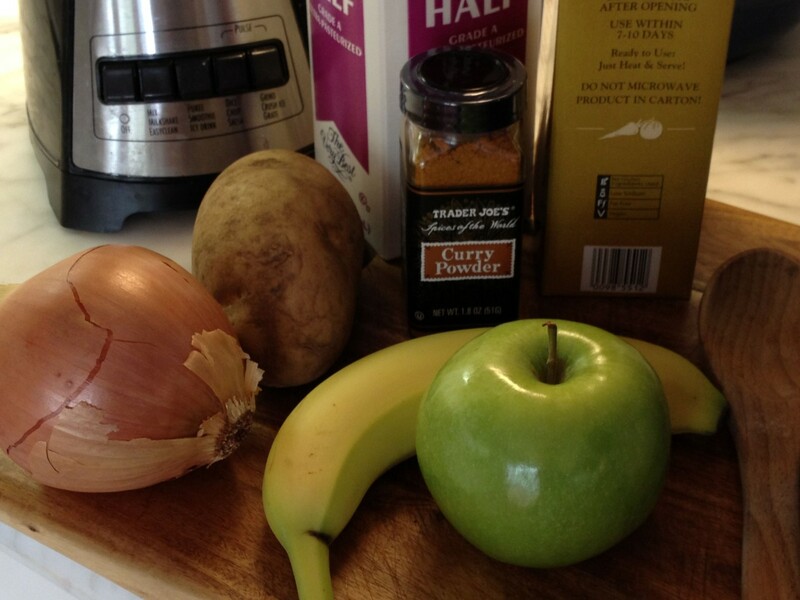 Banana, apple and curry = soup? I can’t wait to try it.